Recent News! An arena alpha mod is about to be released end of December! Your journey starts in the solar system in 2023. After Earth has received several mysterious and unexplained transmissions from Jupiter’s enigmatic moon, Europa, a scientific mission on an experimental shuttle and a small voluntary crew is set up to investigate the source of these transmissions. The shuttle is equipped with an experimental drill laser to melt the icy crust of the moon, a science lab and telemetric probes. Nearing Jupiter, the ship's radar suddenly picks up multiple targets that are quickly closing in. Coming into visual range, you see an enormous alien fleet of over 100 ships passing you by and heading towards Earth. All that you remember is the gravimetric shock wave that had hit your shuttle and and made you crash into Jupiter's atmosphere. A sudden beam tunnelled you lightyears away from home. What was that? After all, your shuttle has bridge the a vast distance of galactic space in a matter of seconds. The rest of your crew is dead or missing. Soon you will figure out that not space but also time has been turned back by at seven years prior to the Earth's first alien encounter. You set yourself a bold goal that seems almost impossible to achieve from where you stand now. To make your way back to Earth by all means necessary and stop the attack from happening. You have seven years and 42 light years to bridge. Put all the puzzle pieces together, understand the origin of the mysterious transmissions from Europa and face the massive alien fleet. All alone? Can and will you prevent the alien armada to reach Earth's destination? There are many ways to reach your goal but the key is that you believe in your own strengths! Evolve as a pilot to become a excellent fighter equipped. Equipped with a superior ship, amazing reactions and tactical awareness and stop the assault of the massive alien armada by yourself. Trade and learn the ropes of understanding price movements, stock-markets, banking, construct factories and become wealthy! With money you can buy power and influence to side with powerful allies and mercenaries that will help you to fight the alien armada. Learn how to communicate, observe and use psychology and subtle diplomacy to accomplishing some most exciting quests. Convince other alien leaders to support you and provide with a fleet. But beware of the galactic fight that takes place within a violent universe around you. You have to sacrifice a lot to bring peace first to the galaxy first! Advance to be brilliant strategist and control a entire fleet by setting a well-crafted master plan to invade the alien's territory. There are many ways to reach your goal but the key is you must believe in your own strengths! 1. Evolve as a pilot to become a excellent fighter equipped. Equipped with a superior ship, amazing reactions and tactical awareness, can you stop the assault of the massive alien armada by yourself. 2. Trade, learn the ropes of understanding price movements, stock-markets, take and give loans, purchase factories and get wealthy! With money you have power and influence to get allies and mercenaries that will help you to fight the alien armada. 3. Learn how to communicate, observe and use psychology and subtle diplomacy to accomplishing exciting quests. Convince other alien leaders to support you and provide with ships. But beware of the galactic fight that takes place within a violent universe around you. You have to sacrifice a lot to bring peace to the galaxy first. 4. Advance to be brilliant strategist and control a entire fleet by setting a well-crafted master-plan to invade the alien's territory. Spacebreach [www.spacebreach.com] is an enticing top-down sci-fi action RPG for players who are passionate about having a deep and versatile gaming experience that is build on your own personality and strengths. Its game play is progressively changing depending on the choices you are making during the game. News! An arena gladiator mod is about to be released in December! This mode is to test the AI's learning capability and give the best players a real challenge. Over 100 unique skills with 10 skill trees, ranging from becoming a pilot, diplomat, engineer, scientist, analyst or communicator. For example, mastery in leadership teach you how navigate massive battle cruisers. Become an elite tactical expert, or learn how to use solar winds to save fuel costs. One hidden and locked skill tree to learn how to harvest the powers and life force our universe holds. Above all, learn from the universe to manipulate spacetime to breach into a another dimension. An evolving AI that learns from your own actions and becomes better in fighting you! You need to be quick before its consciousness awakes and it and becomes too powerful to engage! An in-game console where you type commands and communicate with the AI, make calculations, scripts, hack or simply mess with it in a humorous way! Enticing fights against formidable opponents and through mastery of certain skills to win battles through real-time strategy. Fast paced dogfights that require skill and cleverness to overpower superior foes (see demo). Special manoeuvres that are unlocked when you advance in your skills or gain perks Find allies and instruct them to help you to defeat large enemy parties. Hide behind asteroids and set cloaked mines. Numerous unique weapons, shields and unique enhancements. A real economy that never sleeps with prices that are driven by demand and supply. A real challenge for any business tycoon. Get loans, give loans and collect your money, gamble at stockmarkets and manipulate prices through fake news! Get politically involved and run for governor! An education mode for children and school. A free version with limited RPG/action elements but with science exploration to study phenomena of our universe, the basics of trade, commerce and economics! Downloadable prices, analysis or supply and demand and map setup of market places and trade routes. Learn a secret skill tree passed on by an ancient race through cosmic runes. Bend space-time to send bullet back to its target, teleport or miniature yourself to be the size of an atom to fight a qauest within a microcosm! Hello! This is our first post (and hopefully a few more to follow). For anyone that is interested in Science Fiction and RPGs, this indie game is hopefully worth your reading time. I believe the best way to introduce our game is through a summary of frequently asked questions that I have just published on the game's website. In a nutshell it outlines what Spacebreach is about and what personally to expect from the game. What is Spacebreach and where can I download it? Spacebreach is a topdown (slightly oldschool) Science Fiction RPG and commerce simulation with a progressive gameplay. Most of the game is taking place in outer space aboard a spaceship. 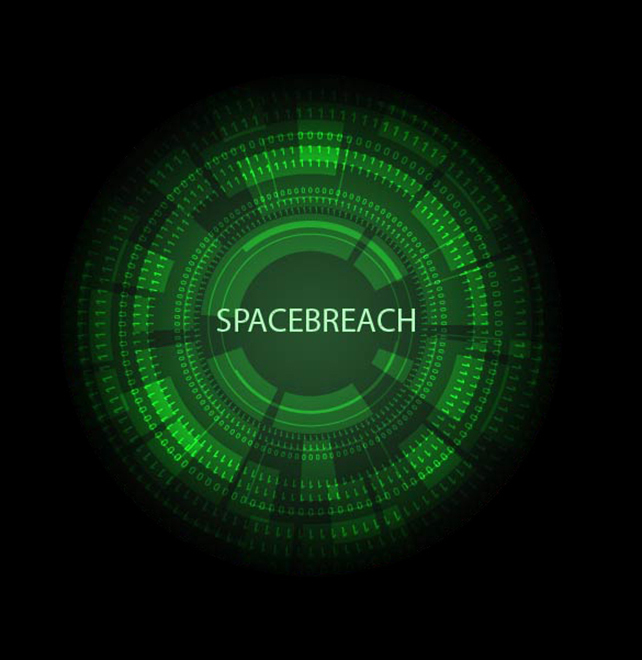 Spacebreach is an independent game that has been developed by a small team of passionate indie developers without financial support of a publisher. It is currently under development with an alpha release firmly scheduled in May 2019. A single player arena mod is due to come out in January 2019. This one will be for testing the game physics, get constructive feedback and a first feel for its gameplay. At the beginning the player is stuck in a distant system of the galaxy without a faster-than-light (FTL) engine. (A brief plot history can be found on my webpage and there are many interesting plot twists to expect.) The ultimate goal is to find your way back to Earth and stop an mysterious alien armada fleet of over 100 ships. Yes, you, you alone! But, luckily there are many ways to reach your goal! Character classes are optional and will help you to specialize quicker towards one or two skill paths, but they also restrict other paths. For example, analysts are brilliant tacticians, but may have a slower reaction time as pilots and are not able to master helmsmanship. Engineers love to tinker with their machines, enhance weapons and shields, but (in the game) are less interested in commanding as great leaders orchestrate large fleets. Within the game you can be almost anything that suits your personality: a pilot, an engineer, a diplomat, an analyst, a scientist, a businessman or stay relatively undecided as general polymath. What is meant by progressive gameplay? Spacebreach is keen on offering a progressive gameplay experience in the sense that the dominant genre of the game depends on the choices you make and skill trees you have chosen to explore for yourself. For example, the game can evolve to become a more classic action spaceshooter, a sophisticated trading simulation, a turn-based strategy game or an RPG adventure with little or no disco action! Of course, you can also mix genres, for example, fund a massive fleet by building strong trade network or loot money with your piloting skill. The choice is yours! Tell me more about the action element of the game? Spacefights are rare unless you try to master becoming a pilot. Spacefights require both skill in controlling your ship and tactical finesse. One of the developers has been an old e-Spots pioneer and Quake veteran and the team has put a lot of thought into making spacefights as intelligent and tactical as only possible. We try to avoid giving players repetitive click-and-blow up missions. The AI is intelligent, will have fighting personalities and will use a wide range of tactics and manoeuvres to outwit you. Moreover, the AI is capable of learning and will try to adapt to your gameplay. How much you want to use strategy to overcome your opponents depends on how much you explore mastering the strategic elements of the game. Initially you can ask allies to join you in your battles or hire mercenaries. While you can give strategic instructions to your allies, you will be later able to control bigger command ships, direct fleets and work out brilliant battle plots. The game gives you flexibility in how much you want mix strategy with solid action, for example, fighting at the front line as a pilot at the same time as directing fleets is up to you. The RPG system has been carefully thought out and supplements the gameplay. Characters progress in levels through experience which can be gained either through solving quests, battling or making profit. Once your character levels up you can spend your skill points on various skills which unlock certain feats and perks. The AI is capable of learning? Uhh, sounds scary! Not really, but how does this exactly work out? There are over 100 skills to discover via 10+1 skill paths, such as, Analytics, Leadership, Cosmopgraphy, Engineering, Commerce, Diplomacy, Weaponry, Science, Communications, Helmsmanship and a secret path that will be revealed during the game. Each path has 10 experience levels, Novice, Apprentice, Journeyman, Seasoned, Authority, Master, Elite, Legend, Oracle and Enlightened with each level providing unique feats that progressively change the gameplay. To obtain a higher skill level you will require skill points to spend and sometimes special quests. Can you give one or two specific examples of skills and how they affect gameplay? For example, advancing as analyst allows you at some point to pause the game during a fight. Yes, you heard right 'pause'. Thus you will be able to analysis incoming torpedos and single-handed (and a pizza in the other) to assign instructions and figure out the weaknesses of your opponent. Or, advancing as a businessman gives you access to stock markets and you can bet on falling or rising prices. Of course, you could influence these yourself by spreading false news, which requires advancing in the skill of communications. Or advancing as engineer allows you to repair your ship during a battle. While you may not be the best pilot, it will give you a distinctive advantage, especially if combined with certain tactics like using asteroids to get out of the line of fires. There are over 100 skills as these that are well balanced and thought out to make the gameplay interesting and long-lasting. Something to discover during the game as it is woven into the plot. In effect, you 'breach space' into another dimension to travel faster than light and in a place with different physical laws. On your website you state you will have a free educational mod. What is that? The game engine runs with a simulated economy in the background with thousands of hidden AI traders that create a brittle market equilibrium across the universe. You will be able to download market prices into Excel and follow a tutorial that will help you to analyse supply and demand, historical price movements, calculate costs and make forecasts. You can then verify your forecasts and apply your economic and business concepts to see if you are profitable. Sounds good, how can I personally support the Spacebreach team? There are many ways to support an indie development such as Spacebreach. Leaving feedback and encouragement is perhaps the most important. You can also contribute with ideas and feedback by contacting us, start a discussion in our forums or request to be an alpha version tester. Contributing with graphics, such as 3D model and textures, is another way to contribute and will be rewarded with early and free access. As mentioned, we are planning to release a single-player arena mode in January 2019 where you will be able test your piloting skills against the AI. Will there be multiplayer support? We don't want to go that far to elevate it into a MMORPG and we don't think the current code would permit that without a massive overhaul; however, if times and personal funding permit, a corporation or team online mode is definitely in the realm of possibility, especially, once the game is released and made spacebug free, an online corporation mod is a great way to contribute back to our supporters. Why making a game so versatile and not focus just on one aspect? I have sometimes received the feedback that many for profit games (with a few remarkable exceptions!) display one or very few game mechanics. That's absolutely fine and low risk to break-even with the costs by appealing to an established gaming community with defined conventions. However, as an indie developer I am not bound by rules of the gaming industry. There is no one to tell me what to do and how to develop this game. Once you let go of any preconceptions of what is the 'correct' or 'incorrect' way, for example, programming standards, marketing and game engines, there are no boundaries and no costs to bear as these can't be measured anymore. I personally believe that the nature of a game, of any game, is to educate us in our very own humanly way since our birth. Games are most natural to us. I and many others have spend a childhood playing computer games to the dismay of teachers and my parents who didn't see any educational value in that. We have proven them wrong! Ultimately, I believe in a gaming concept that educates us to believe in our own strengths to accomplish a goal. A game that fits like a glove to support our complex personalities and had the power to move something in us is what I envisage. Thanks for reading! Until next spacetime! We will bring out a single-player arena mode within the next couple of week (6?) to test game physics and dynamics, weapon balance and manoeuvres. Test your skills against 7 formidable AIs (and their allies) and even win (real) prizes! The next demo release (1-2 weeks) will be looking at some of the tactical aspects of the game. Instruct a group of allied ships to engage and win a battle against a superior foe! Note that you will be also able to switch and control ships during battle; however, this will be only possible if you have mastered the necessary tactical skill that permits you to do so--otherwise you will need to stick to giving instructions to the AI!